Cadence Design Systems, Coventor, X-FAB and Reutlingen University have announced the grand prize winner of the Global MEMS Design Contest 2018 at CDNLive EMEA 2018, the Cadence annual user conference. A team from ESIEE Paris and Sorbonne University received the grand prize award for designing a MEMS-based energy harvesting product using electrostatic transduction. Energy harvesting products can be used in implantable medical devices and other portable electronics that need to operate without an external power source. The winning team received a $5,000 cash prize along with a complimentary one-year license of CoventorMP MEMS design software. In addition, X-FAB will fabricate the team’s winning design using the X-FAB XMB10 MEMS manufacturing process. The design contest was launched two years ago at the 2016 Design, Automation and Test in Europe (DATE) conference, with the goal of encouraging the development of imaginative concepts in MEMS and mixed-signal design. Contest submissions were received from around the world, and three semifinalist teams were selected in February 2018 to compete for the grand prize. 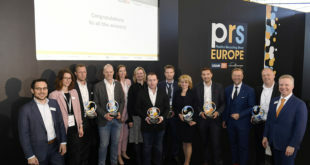 A panel of industry professionals and respected academics selected the grand prize winner based upon the degree of innovation demonstrated in the hardware and methodology, the novelty of the application, adherence to the design flow and the educational value of the submission. “We are very pleased that the contestants used the CoventorMP design environment and XMB10 MEMS PDK to create and model their designs,” said Dr. Stephen Breit, Vice President of Engineering at Coventor, a Lam Research Company. “We’re looking forward to X-FAB’s successful manufacturing of the winning team’s design, which will demonstrate how this new approach can reduce the cost and time of developing new MEMS products. 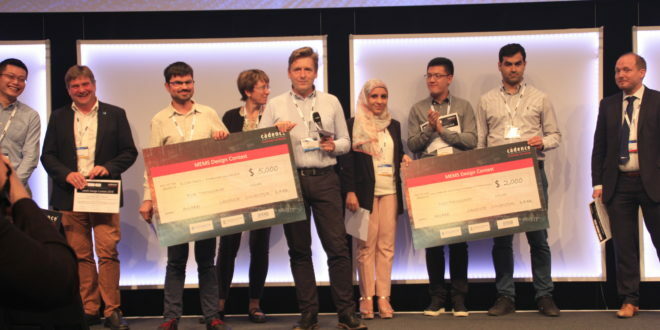 A team from King Abdullah University of Science and Technology (KAUST) in Thuwal, Saudi Arabia, took home the second-place prize, which included a cash award of $2,000. The team from KAUST created a MEMS resonator for oscillator, tunable filter and re-programmable logic device applications. Third place went to a team from the University of Liege, Microsys, KU Leuven and Zhejiang University. This team created a genetic algorithm for the design of non-linear MEMS sensors with compliant mechanisms and showcased it using a capacitive MEMS accelerometer. They received a cash prize of $1,000.